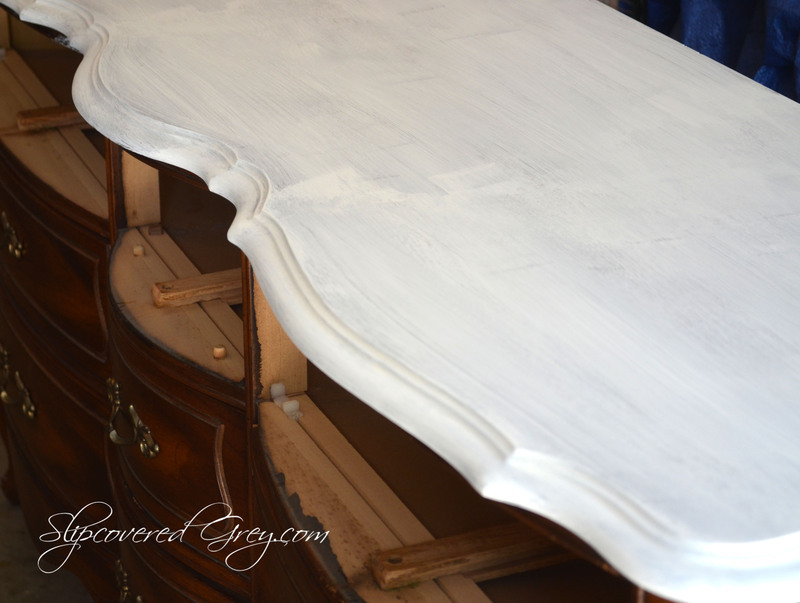 I recently showed you how to get organized before you paint a dresser or large piece. You can read all about it here. I bet you would like to see the finished piece. I fell in love with this Craigslist find immediately. The lines and detailing were so beautiful. 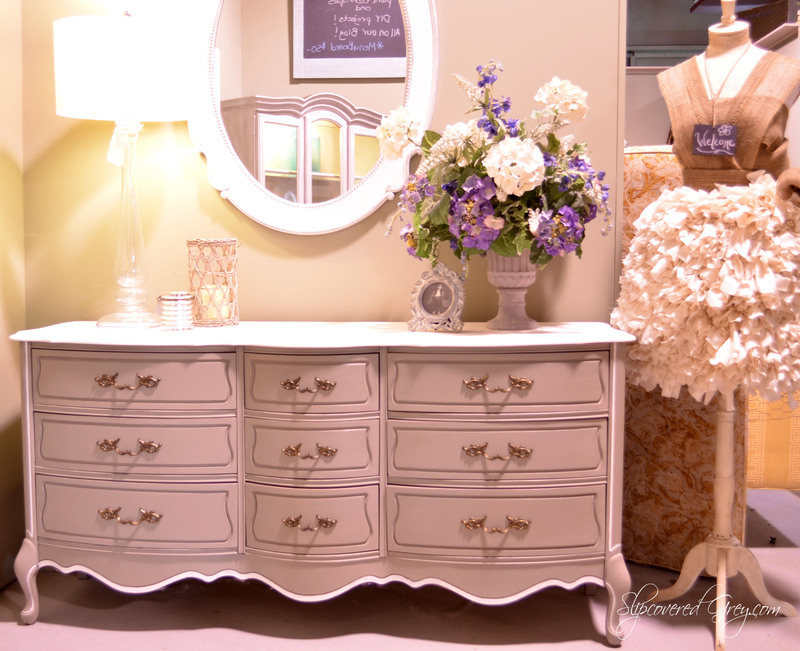 I envisioned grey with accents of white on this piece to create a feminine, yet glamorous look. I wanted to create a piece that could compliment a sheepskin fuzzy white throw, crystal chandelier, silver accessories, and a bed draped in white linens. 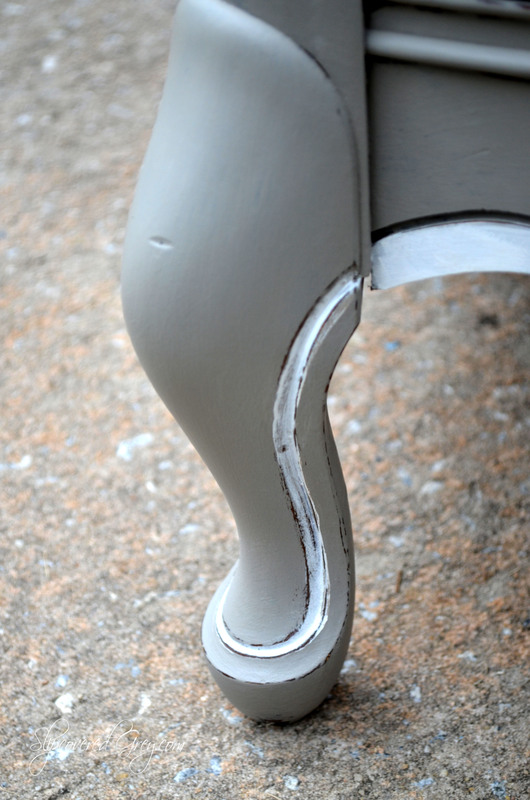 This called for Annie Sloan paint! After prepping and cleaning the surface, I dove right in. Luckily, at the Haven Conference, I won a can of Annie Sloan, French Linen Paint. I know! I was super lucky at the Wheel of Fortune game. The thing is, I am not the luckiest when it comes to winning anything. 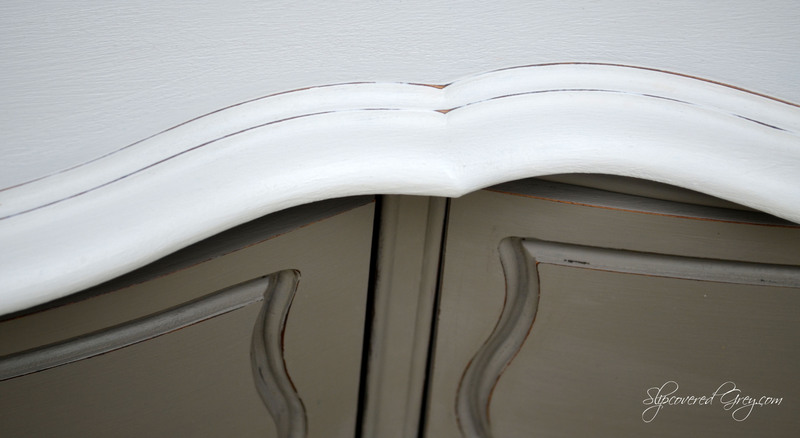 First, I painted the top with Annie Sloan, Pure White. 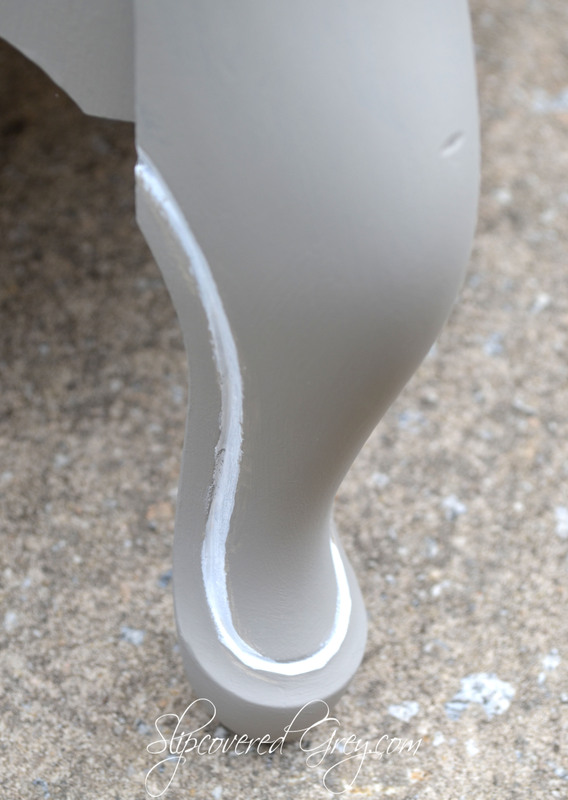 The white took a few coats to achieve the desired look. Above you see the first coat. Next, the body was painted with French Linen and the lines painted with Pure White. I used a small brush to get into the grooves, trying to be neat, but not focused on being super neat. I knew I was going to distress this area and it would give the look I wanted to achieve. You can see the messy lines from my “not so steady” hands. You may ask why I chose not to paint the inside groove of the drawers. 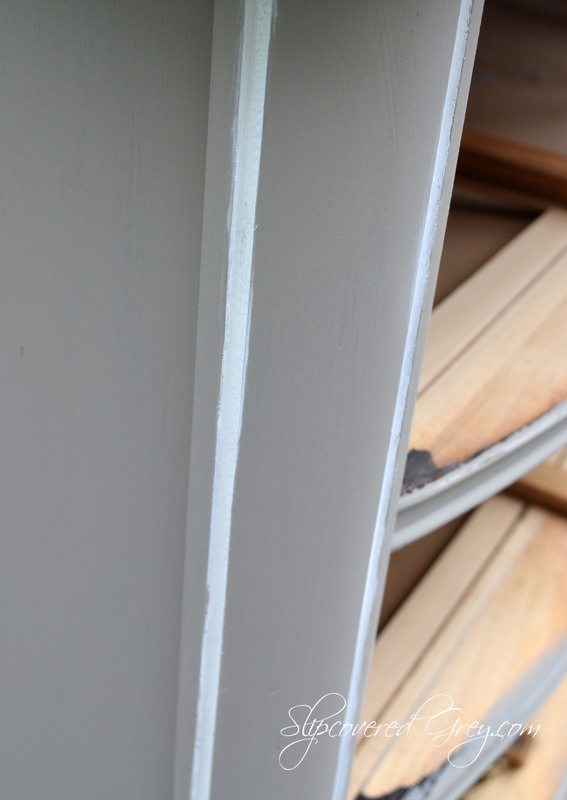 I wanted this dresser to have clean lines and felt painting the grooves white would be too busy and take away from the simplicity of the dresser. 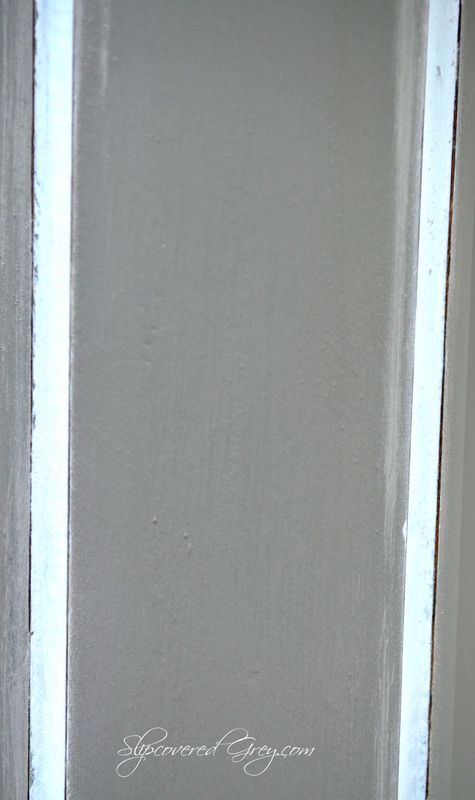 After painting, a clear coat of Annie Sloan wax was applied. Can you envision this piece with a sheepskin fuzzy white throw, crystal chandelier, silver accessories, and a bed draped in white linens? Angie , this is a lovely piece of furniture! You made it absolutely gorgeous! You are such a talented painter! Thank you so very much Betsy! I love this style furniture. Have several french provincial dressers in my house and my old bedroom suite is french provincial. 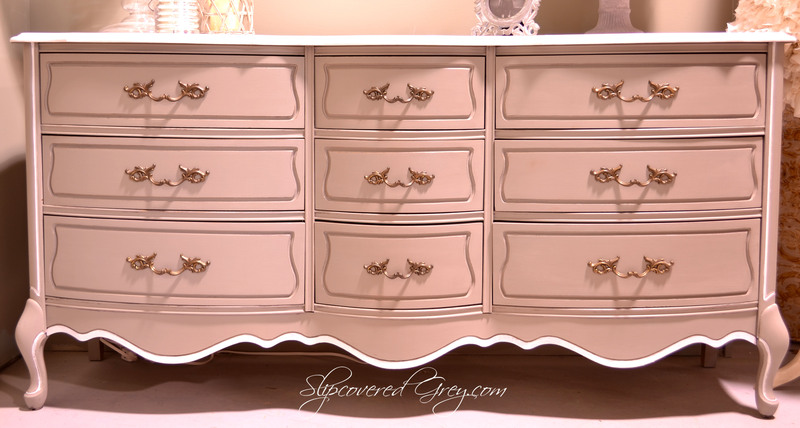 I have actually seen this exact dresser for sale several times but had to resist buying it cause I am out of space 🙂 LOVE how you painted it – the 2 toned look is subtle but beautiful! I love how your dresser turned out. Very classy indeed. The two tone paints add a subtle touch I find. 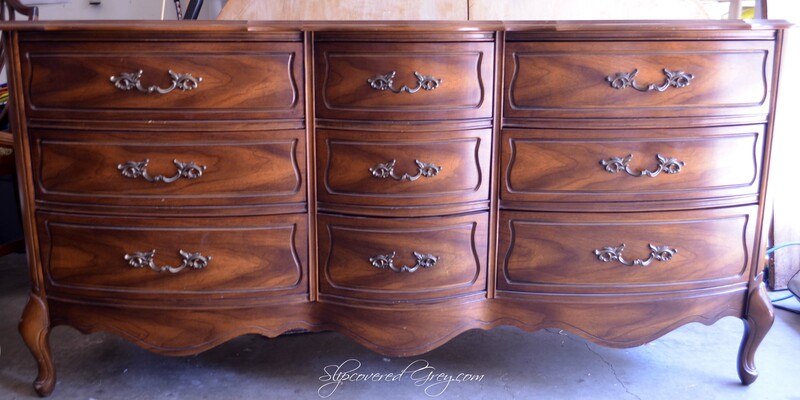 I will be starting to work on a dresser like the one shown. What kind of treatment did you apply to the handles? Thank you so much Garver!